VI.12.7 Pompeii. 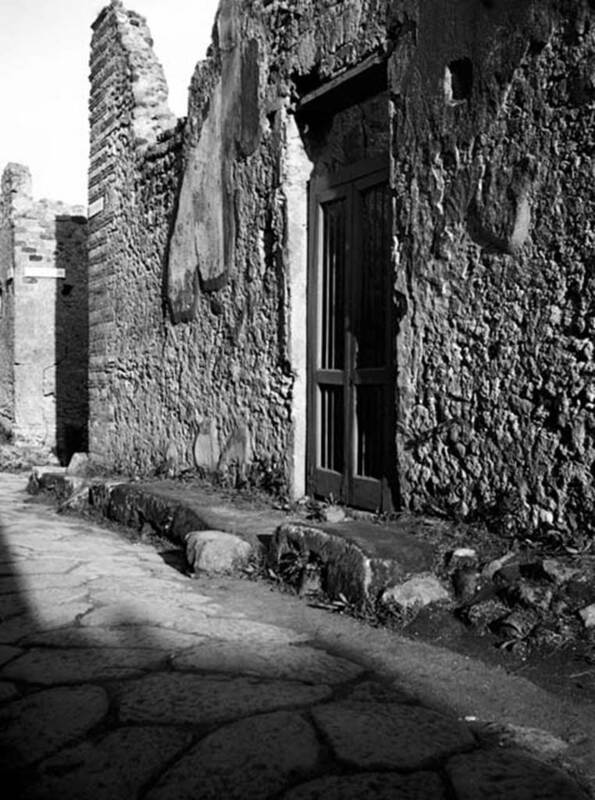 Rear entrance of the Casa del Fauno. Linked to VI.12.1 VI.12.2 VI.12.3 VI.12.5 and VI.12.8. Excavated 1830-32. 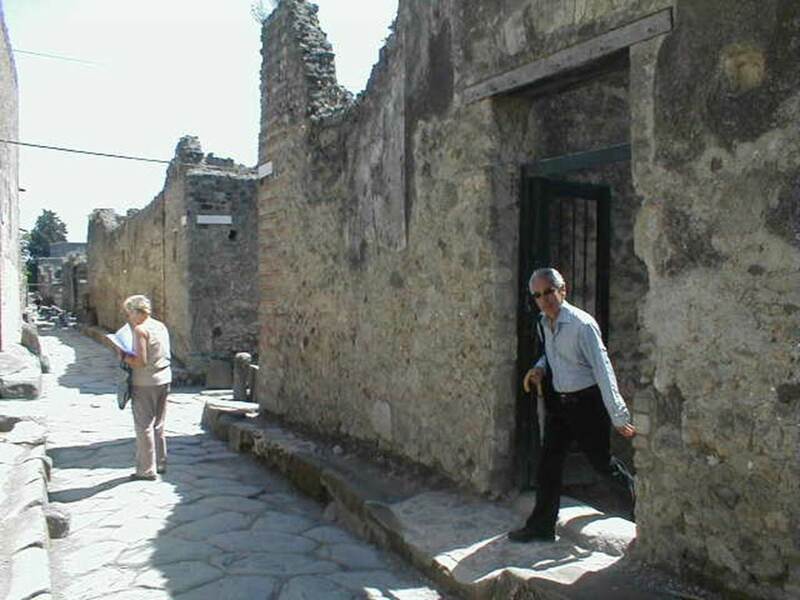 VI.12.7 Pompeii. May 2005. Looking east along Vicolo di Mercurio, and rear entrance, on right. VI.12.7 Pompeii. W.1154. 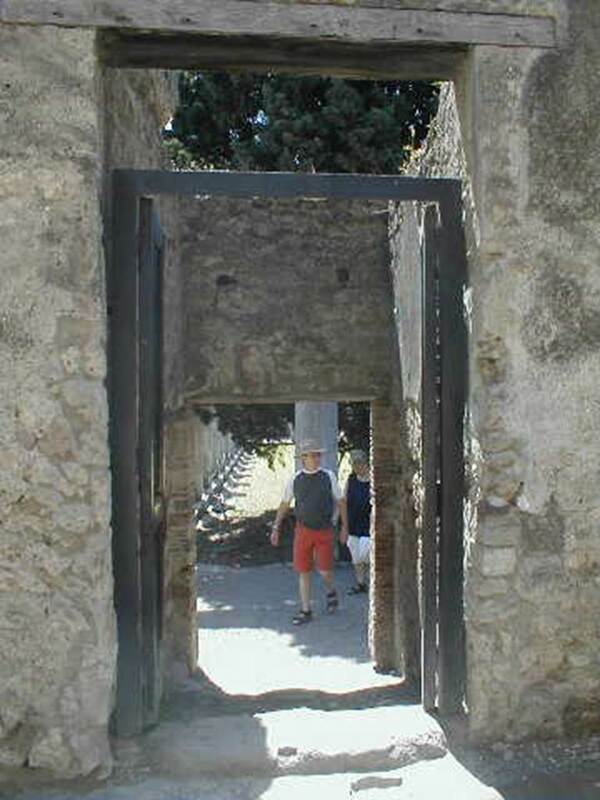 Rear entrance doorway, posticum to Casa del Fauno. VI.12.7 Pompeii. May 2005. Looking south into rear entrance doorway into rear peristyle.